Oil giant BP says significant shale gas production in Britain and Europe over the next 20 years is unlikely. In a damning forecast, the energy firm said fracking will gain little traction outside America before 2035. 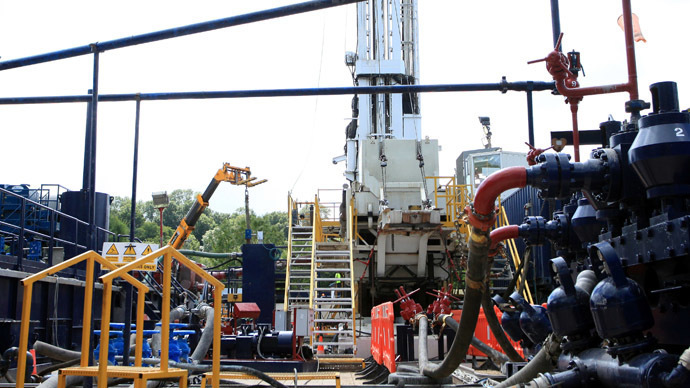 The energy firm says hydraulic fracturing’s limited potential across Europe in years to come will cause the price of oil to increase sooner than has been widely thought. BP’s forecast on the future of fracking in Britain and beyond surfaced in its most recent Energy Outlook Booklet. He attributed fracking’s poor development potential in Britain and Europe to the dramatic growth in US shale oil production. While BP says increased demand has pushed oil prices down in recent times, it argues US shale oil production levels will eventually slow down, prompting an increase in demand for ordinary oil reserves outside America. BP also predicts an ever-expanding global economy will keep demand for oil high. The firm’s chief economist Spencer Dale suggests the dramatic surge in fracking in America is unlikely to be mirrored in other countries because the US’ suitability for shale oil production is quite unique. America has plentiful access to water, which is vital for hydraulic fracturing. It also has large reserves of commercially viable hydrocarbons coupled with low population density and a history of land-based energy extraction, according to Dale. The BP economist suggests these factors combined make America fracking-friendly, as distinct from smaller EU states like Britain. “It may well take several years, but our view is that as the strong growth in tight oil flattens out and the global economy continues to grow, the oil market will rebalance,” he added. Rapid economic expansion in China and India will spur demand for energy over the next two decades, according to BP’s report. Its research predicts China will become the world's largest consumer of oil by the 2030s, outstripping the US in the process. The oil firm expects the Middle East to remain the largest region in net energy exports in decades to come. It adds Russia will remain the world’s largest energy exporting country. BP's Energy Outlook Booklet argues the global economy will double in size by 2035, creating a 40 percent rise in demand for energy. The oil group suggests almost 67 percent of this demand will be catered for with fossil fuels. It says this in turn will culminate in a 25-percent increase in carbon emissions worldwide.